The ‘Souls’ were a sophisticated set of young aristocrats and society debutantes, who were drawn together by a shared interest in erudite conversation and high-spirited wit in the last two decades of the nineteenth century. Counting amongst their number many brilliant young politicians, such as Arthur Balfour MP, later Conservative Prime Minister, a pivotal figure in the group, and the charismatic daughters of prominent families, the ‘Souls’ had a powerful impact on British culture and society. Focusing on portraits of key individuals, this display explores the group’s spiritual affinity with the Pre-Raphaelite Brotherhood; in particular their support and close friendship with the artist, Edward Burne-Jones. Patrons and sitters for his work, several of the female ‘Souls’ inspired his depictions of nymphs and sirens. Featuring a range of prints and photographs, the display showcases the fine portrait studies of the group made by a leading ‘Soul’ – Violet Manners, Duchess of Rutland. An influential aristocrat and talented artist, Violet not only embraced the aesthetic lifestyle advocated by the Pre-Raphaelites, but also had the features of a ‘Burne-Jones Medusa’. This talk will look at the display Beautiful Souls. 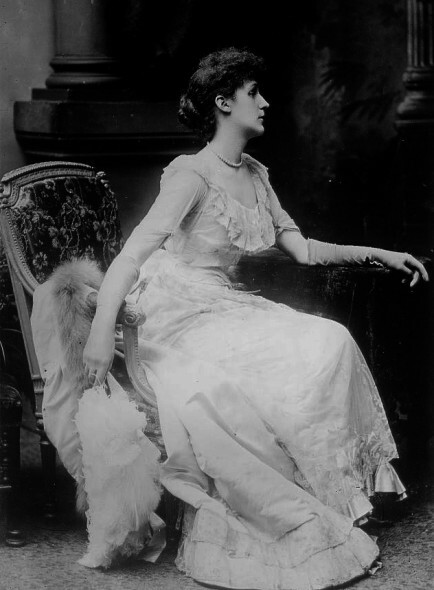 Comprised largely of the portrait studies made by Violet Manners, an artist and member of the group, this display focuses on the glamorous set of aristocrats and socialites, nicknamed ‘The Souls’ because of their shared intellectual interests, that formed around the Conservative MP, and later Prime Minister, Arthur Balfour, at the end of the nineteenth-century. Highlighting the cultural influence of the individuals involved, the display also demonstrates their Pre-Raphaelite associations. This was a lovely exhibit. When I went to the NPR in December, I found this one quite by accident.